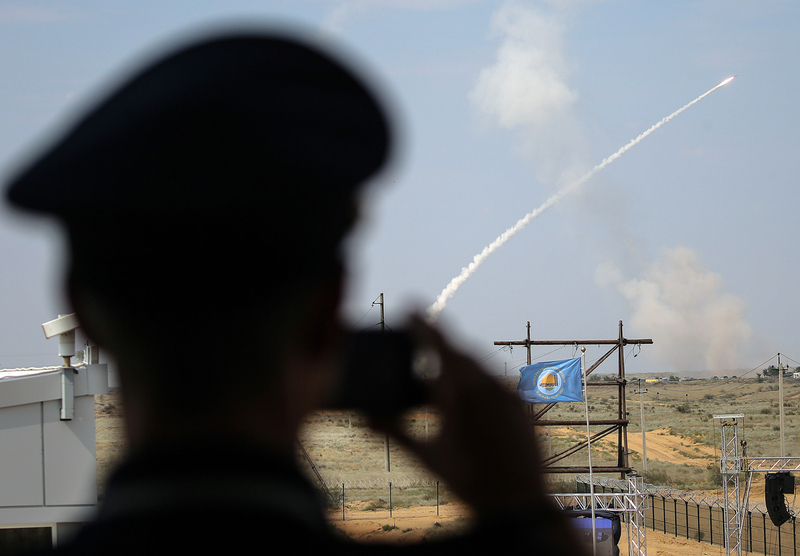 Will Russia deploy a new air defense system to Syria? The S-300VM "Antey-2500" system is capable of destroying enemy ballistic missiles, flying towards to the target at a speed of 1.5 miles per second, with a range of 93 miles. According to military experts, the S-300V4 advanced anti-missile system will protect troops from possible air attacks after the failure of Russian-American cooperation in Syria. Russia has deployed an S-300VM "Antey-2500" air defense system to Syria, Fox News television has reported, citing sources in the U.S. intelligence community. According to the report, American intelligence have been observing the shipment of the system for several weeks, as components of the system, classified as SA-23 Gladiator by NATO, arrived at Russia's naval base in Tartus. The S-300V4 system is yet not operational, and, according to Fox News sources, is still in crates. The Defense Ministry declined to comment when contacted by RBTH. According to an RBTH source in the military, the deployment of the new equipment is in response to the U.S. statement on Washington's move to "plan B" in Syria – an increase in the number of sorties, the transfer of special forces to the region and new arms deliveries to the moderate opposition. "The new air and missile defense systems in the area of operations will help avoid incidents similar to the events in Deir ez-Zor, when the U.S.-led Coalition mistakenly delivered airstrikes on Syrian military positions," the RBTH source said. That attack killed 62 Syrian soldiers and wounded more than 100. The S-300V4 is an upgrade of the S-300 air and missile defense system. Unlike its precursor, the newer system uses tracks rather than wheeled chassis, and is intended to cover troops in combat positions. "It is adapted for movement on rough terrain in a convoy of armored vehicles: tanks, armored personnel carriers (APCs), and so on," Viktor Litovkin, the TASS news agency's military expert, told RBTH. "Its mission is to cover the ground troops in a war zone from missile and air attacks." According to Litovkin, the S-300VM "Antey-2500" system is capable of destroying enemy ballistic missiles, flying towards to the target at a speed of 1.5 miles per second, with a range of 93 miles. According to a number of Russian media, Russia also deployed Sukhoi Su-24 and Su-34 fighter-bombers to Syria a few days earlier. The Su-25 attack aircraft are also being prepared for relocation. Russia's Defense Ministry also refused to comment on this information. The Syrian deadlock: Where do the sides go now?